New Museum Building & Renovation of Gate Lodge at Glasnevin Cemetery. 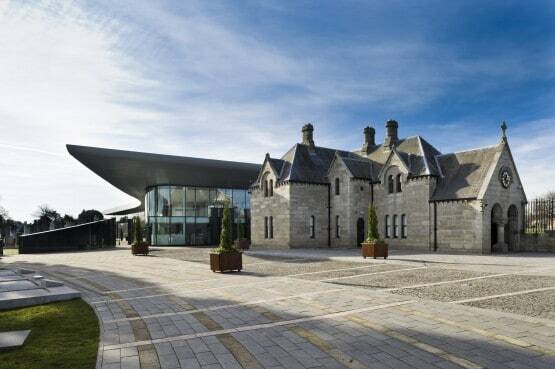 – Duggan Brothers Ltd.
New Museum Building & Renovation of Gate Lodge at Glasnevin Cemetery. Internal works consisted of floor wall and ceiling finishes, fit-out of all rooms including the provision of graphic productions and audio visual equipment for the exhibition centre. There was extensive refurbishment and renovation works carried out to the existing Gate Lodge, a listed building including stone façade restora­tion, damp proofing, full strip out and reinstatement of the interior and complete M & E installation all of which had to be executed in a sensitive manner. Apply For New Museum Building & Renovation of Gate Lodge at Glasnevin Cemetery.